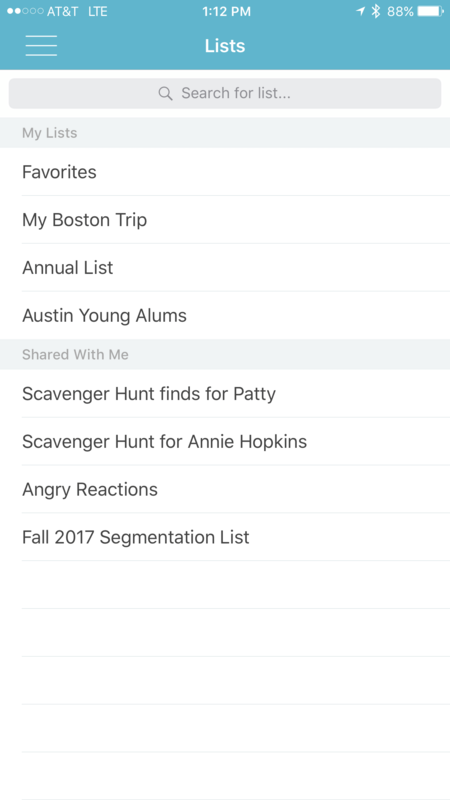 Select the List you want to share in the left navigation panel. In the list, click Add Collaborators in the title bar. Type the name of the collaborator(s) you wish to add in the Add Collaborators box. Suggestions will appear as you type. Only fellow EverTrue users can be added as list collaborators. 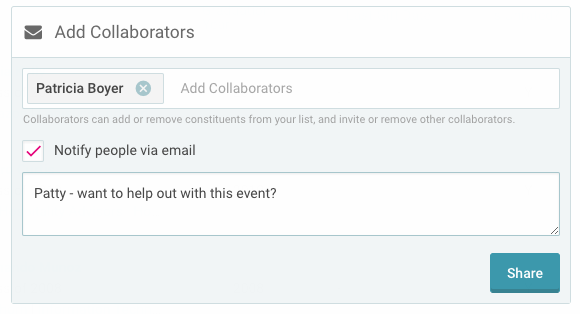 Select whether you’d like to notify the newly added collaborator via email and add a personal note as desired. Only the people you’re currently adding will see this note. 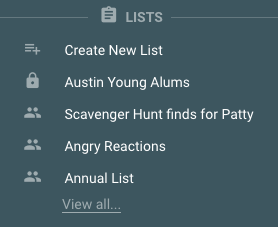 Open the main navigation menu and select List. Choose the list you'd like to share to get started. 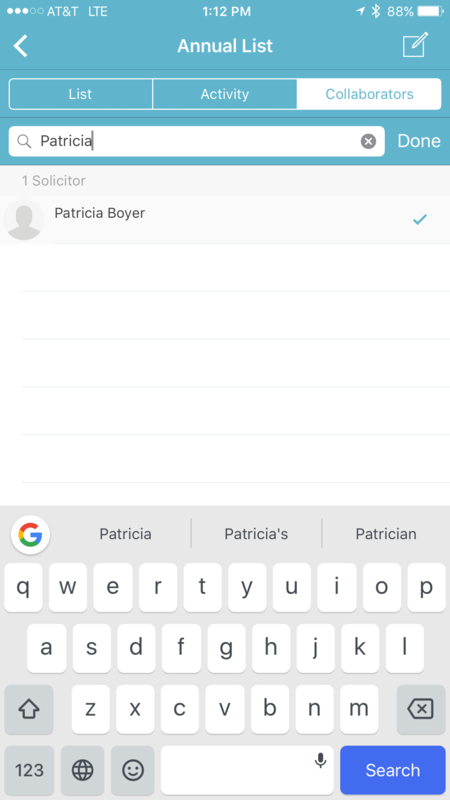 Type the name of the collaborators you wish to add in the search box, and suggestions will appear as you type. Tap Done when you’ve selected everyone you’d like to add. 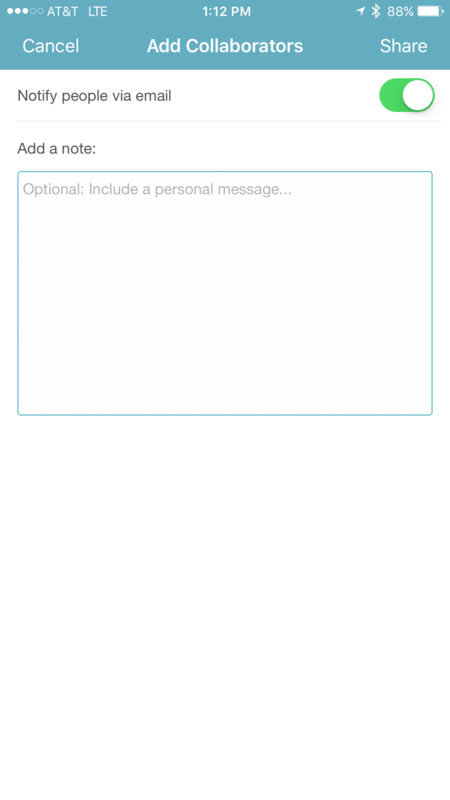 Next, choose whether you’d like those people to be notified by email when you add them. 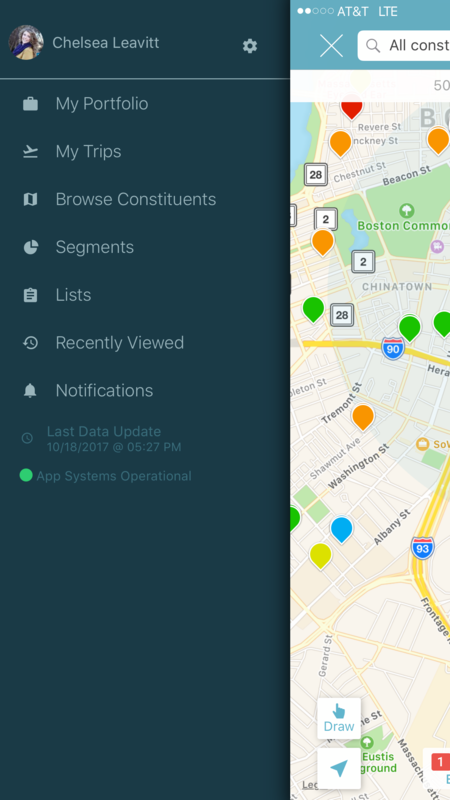 You can optionally include a note. Only the people you’re currently adding will see the note. 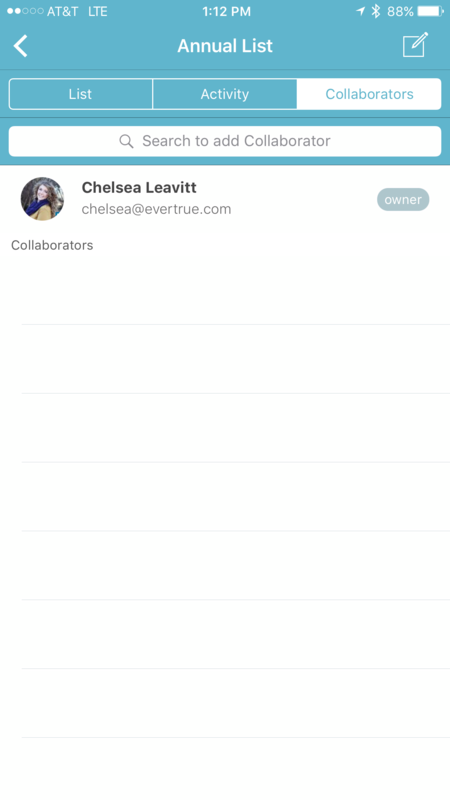 EverTrue supports two collaborator types - Owner and Editor.